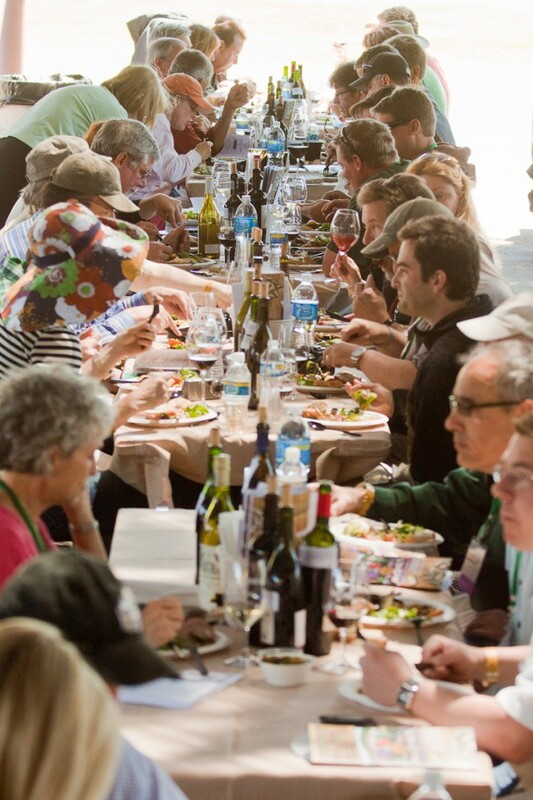 For three days every May, winemakers and wine enthusiasts gather in Paso Robles, California, for the largest international celebration of Rhône wines in the world. Now in its nineteenth year, the Hospice du Rhône’s seminars, exhibits, and large- scale wine tastings attract throngs of eager attendees. This was my first visit to HdR. Beyond the sheer debauchery of the event, I was struck by a curiously strong and supportive bond of friendship and apprenticeship between the producers. Camaraderie and mutual respect among winemakers in a particular region is hardly a rarity, but among the California Rhône winemakers, it appears to be both intentional and constant. 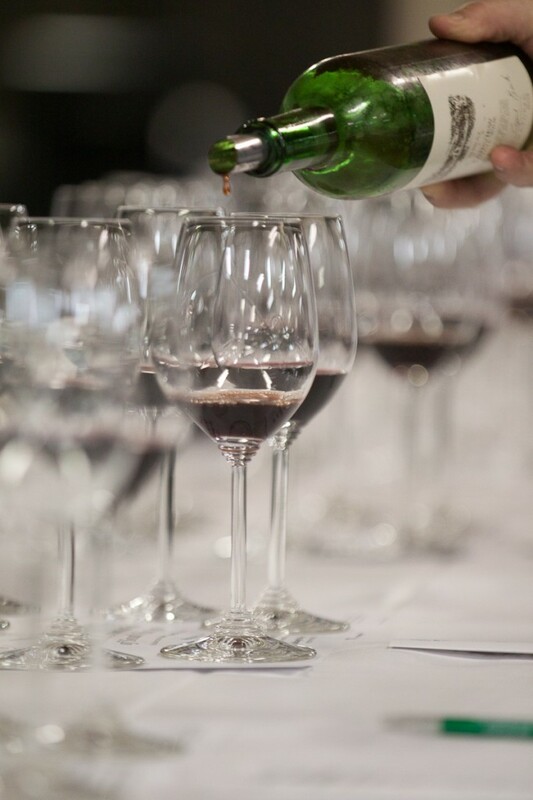 Working both individually and together, they target their own collective success while further strengthening the growth and quality of the American wine industry. I have observed distinct generations of American Rhône Ranger winemakers. The first and now-iconic generation included John Alban (Alban Vineyards), Randall Grahm (Bonny Doon Vineyard), Bob Lindquist (Qupé), and Jim Clendenen (Au Bon Climat)—the men who brought Rhône grapes to the Central Coast of California nearly 30 years ago. Once established, though, this old guard took the next generation of promising young winemakers into something like a collaborative apprenticeship. This wasn’t a new phenomenon in California winemaking; more than a decade before them—and a couple hundred miles to the north—Robert Mondavi assisted other up-and-coming wineries by sharing his farming and winemaking techniques, grape clones and vine shoots, and assisting with marketing strategies. Mondavi understood that any improvement in the quality of wines coming out of Napa Valley was would benefit everyone in Napa Valley. Among the Rhône Rangers, though, this effort wasn’t spearheaded by one individual but appears to be a continuing effort within the entire community. 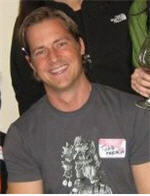 The second generation of Rhône winemakers, such as Pax Mahle (Wind Gap), Eric Jensen (Booker), and Cris Cherry (Villa Creek), emerged about ten years ago. 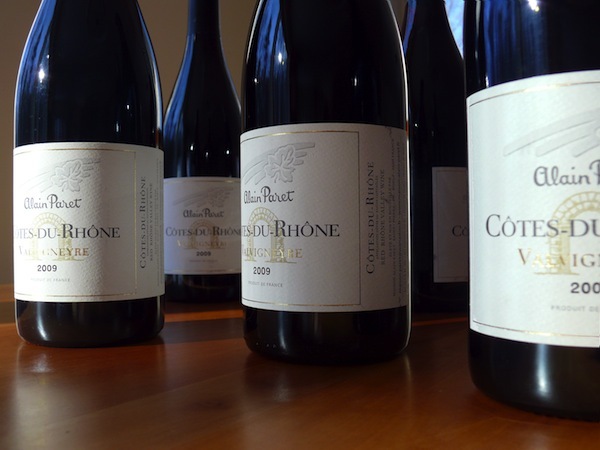 They’ve been making and selling their wines long enough to establish their names in the marketplace, but are still in the process of developing a larger, more robust market for Rhônes in the United States. Their wines showcase characteristics that hint at their shared upbringing and ongoing camaraderie. Veteran French producers such as Francois Villard and Yves Gangloff revel in their superstar status here, but the “Old World” and “New World” seamlessly combine. Several of the French winemakers have teamed up with their California counterparts to create wines to combine styles and/or grapes from each winemaking region. François Villard and Dave Miner of Miner Family Vineyards are working together on several winemaking projects, and Morgan Clendenen of Cold Heaven Cellars is currently collaborating with Yves Cuilleron on two white wines, one using fruit from California, the other using a blend of barrels from each producer’s Viognier. 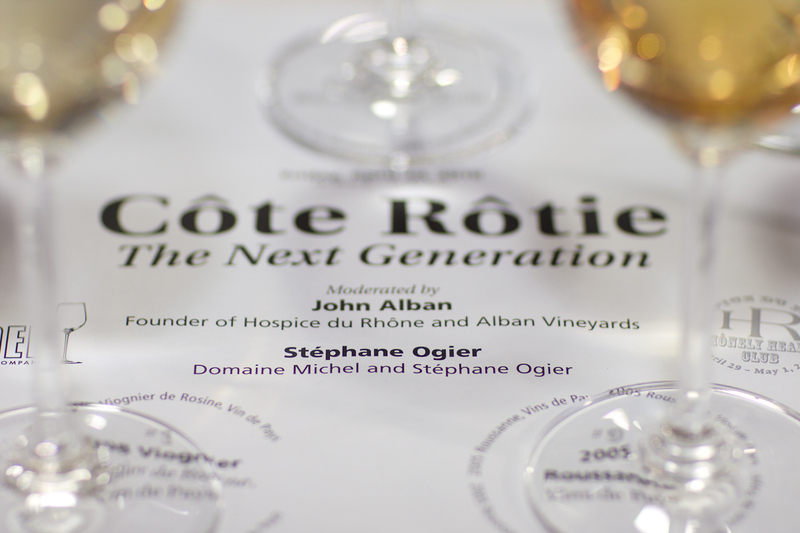 As a business owner myself, I expected to see a competitive environment at Hospice du Rhône. In my industry, professional relationships are different, especially now when the supply of non-essential goods far exceeds demand. Friendships and trust don’t come easily. Yet here, where the “non-essential goods” smell like bacon fat, violets, and cracked peppercorns, and the business owners are rock-star farmers and colleagues, nobody seems to know any other way. Photos courtesy of Mel Hill. 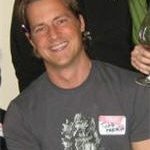 Todd French is a cellist with the Los Angeles Opera, the President of StringWorks Inc., and the founder and administrator of WineBerserkers, home of the craziest bunch of wine geeks in the world. Todd lives in Dana Point, CA with his wife, daughter, and two very poorly behaved dogs. Jim Clendenen is responsible for a lot of things, but bringing Rhone grapes to the Central Coast in not one of them. 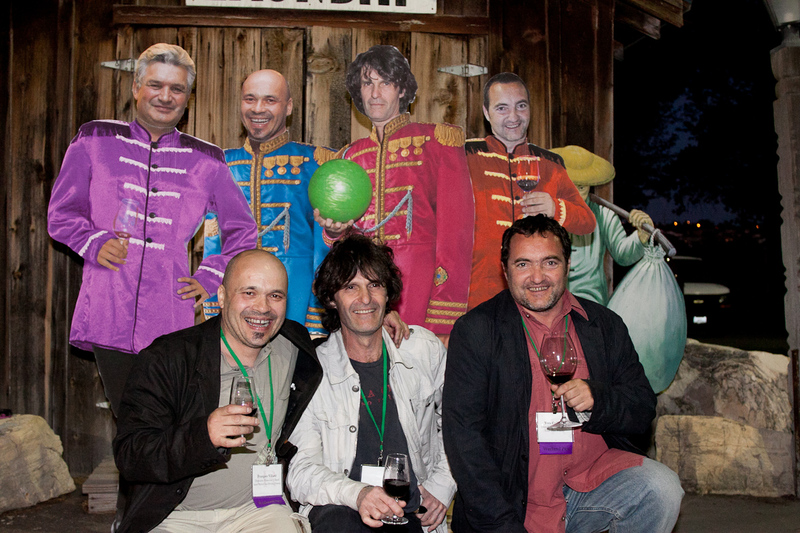 And, without question, Gary Eberle deserves mention; without him, there would be no “Eberle” clone of Syrah. Jim Clendenen is godlike in the wine realm. Is it true Dennis? Then, who brought the Rhone grapes to the Central Coast?